Carter Frederick Patton Temple was born February 17, 1879 in Indianapolis, Indiana to Carter Temple Jr. and Martha A. Blackwell. Carter F.P. 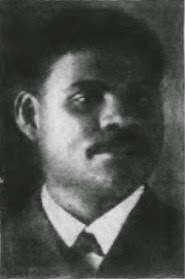 Temple was one of the best known men in the city of Indianapolis, White or Black. He attended Purdue University until age 17, when he enlisted in the State Militia. 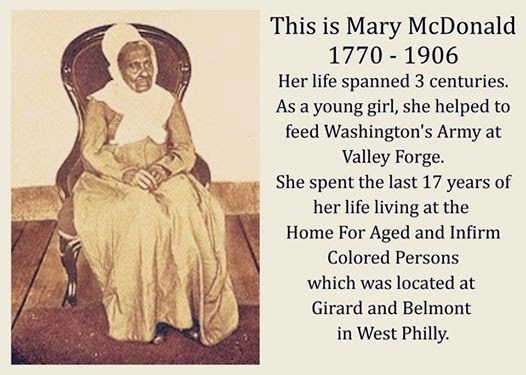 In 1898 at age 19 he joined the U.S. Army and reached the rank of First Sergeant, the highest rank an African-American could achieve at that time. After his honorable discharge, Carter joined the Indianapolis Police Department on April 28, 1900. He resigned August 18, 1900 to start a contracting business, which became very successful. He became involved in politics in 1916 and became a powerful man whose support was welcomed. It was said at his death that he secured more political jobs for African-Americans than any other man of color in Indiana. Carter F.P. Temple hated prejudice and worked throughout his life to support the rights of African-Americans. He was employed 25 years as a foreman in the Street Commissioner’s Department. He was evidently struck by lightning and found dead by the Water Canal. 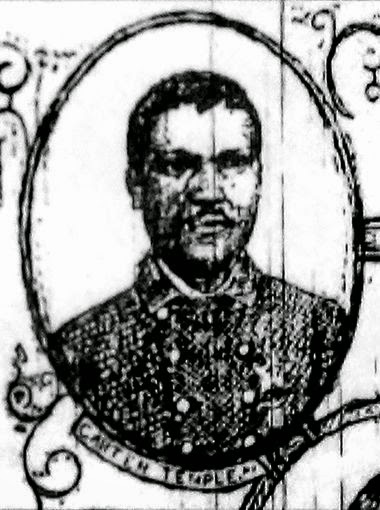 This is a drawing of Carter Temple Jr., one of the first five African-American police officers to join the Indianapolis police force on May 13, 1876. IMPD unveiled an information board in his honor during a Black History Month ceremony on Monday, Feb. 2, 2015.